Add oil to a large skillet over low hear Cook sausage stirring occasionally until done. About 12 minutes. Add onion, bell peppers, celery and garlic. Cook for 8 minutes. Add remaining ingredients. Stir well to blend. Bring to a boil Reduce heat and simmer for 30 minutes. 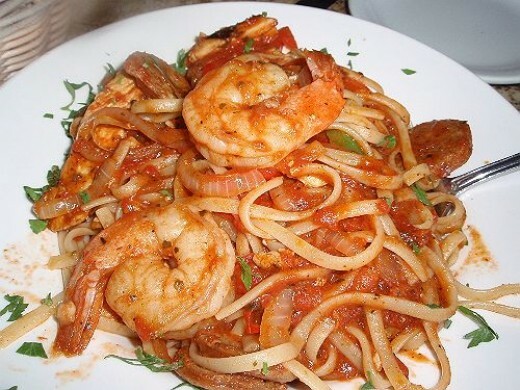 Stir in linguine and shrimp. What kind of chili sauce?? Sweet, hot??? Thank you.